The worlds of motoring and watchmaking have so much in common that once in a while, the stars align and their paths collide to create incredible machines that are rooted in the quest for speed and performance. 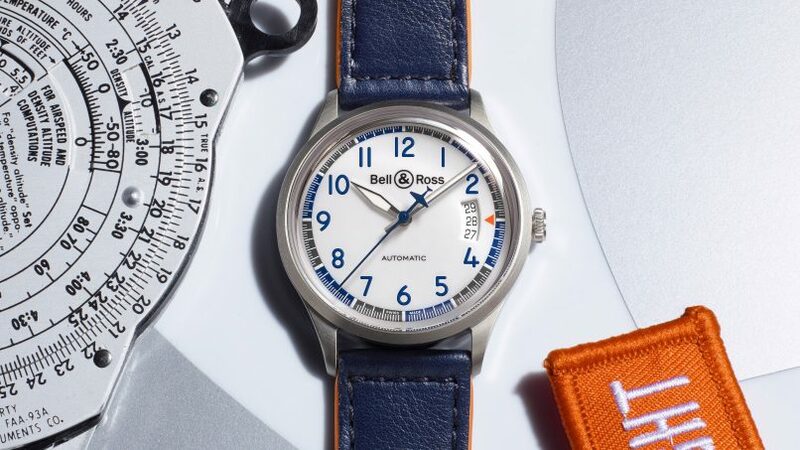 Bell & Ross, for one, has had a storied history that began in the skies, where aviation engineering truly takes flight and is reflected in several of its most iconic watches, such as the BR-01. Now, the brand has taken this vision a step further, creating not only two highly desirable limited edition Bell & Ross Racing Bird watches but also a conceptual high-speed plane that inspired it all: The BR-Bird. This isn’t the first time Bell & Ross’ internal design studio has outdone itself. 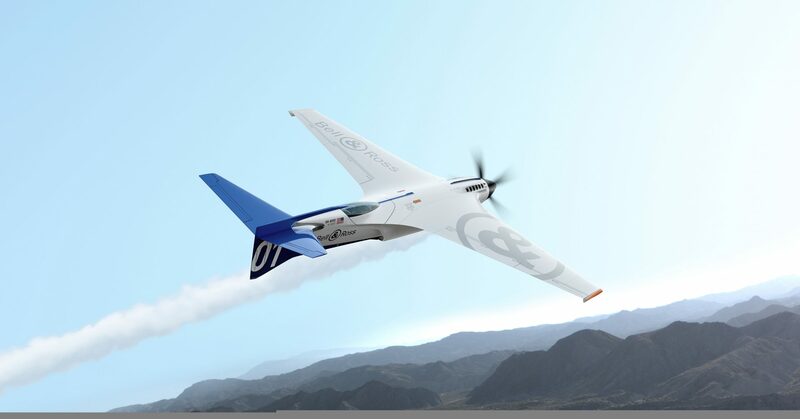 The team’s portfolio includes motorcycles and cars that look straight out of a sci-fi scene, and the latest is an equally svelte propeller-driven racing plane that’s capable of competing at the Reno Air Races in Nevada. The BR-Bird, designed in-house by the Bell & Ross design studio. The extreme speed competition calls for a plane that can fly full speed and at very low altitude, taking on a closed circuit that’s outlined by 10-metre high pylons. And by the looks of it, the BR-Bird stands a pretty good chance. Graphite, fibreglass, titanium and aluminium alloy — all high-tech material — are used to make the aircraft as state-of-the-art as possible, powered by a V12 Rolls-Royce Falcon that’s based on a Merlin, which is also found in the iconic English Spitfire. 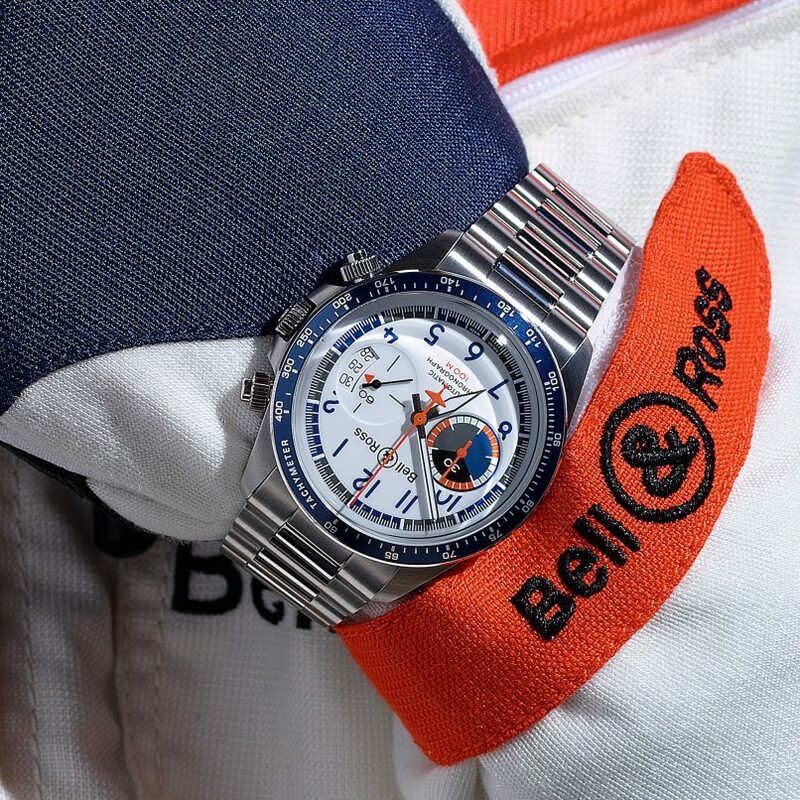 Like the ultra-modern plane, the Bell & Ross Racing Bird series combines the concept of speed and performance. The BRV1-92 Racing Bird is a 999 piece limited edition timepiece that’s a contemporary and sprightly take on the traditional pilot’s watch. The limited edition BRV1-92 Racing Bird. In keeping with the BR-Bird’s colourway, the crisp white dial is accented by a contrasting five-minute blue and grey scale, a blue seconds hand with a plane silhouette, and an orange marker. Lastly, a three-date display brags a clear reference to airplane gauges, powered by the trusty automatic BR-CAL.302 within the sturdy 38.5mm stainless steel case. A matching blue calfskin leather strap with orange lining completes its timeless appeal, and makes for easy matching with any ensemble. Like the three-hander above, Bell & Ross’ latest chronograph watch sports a modern facade that’s a clear departure from the other vintage-inspired models in this range. 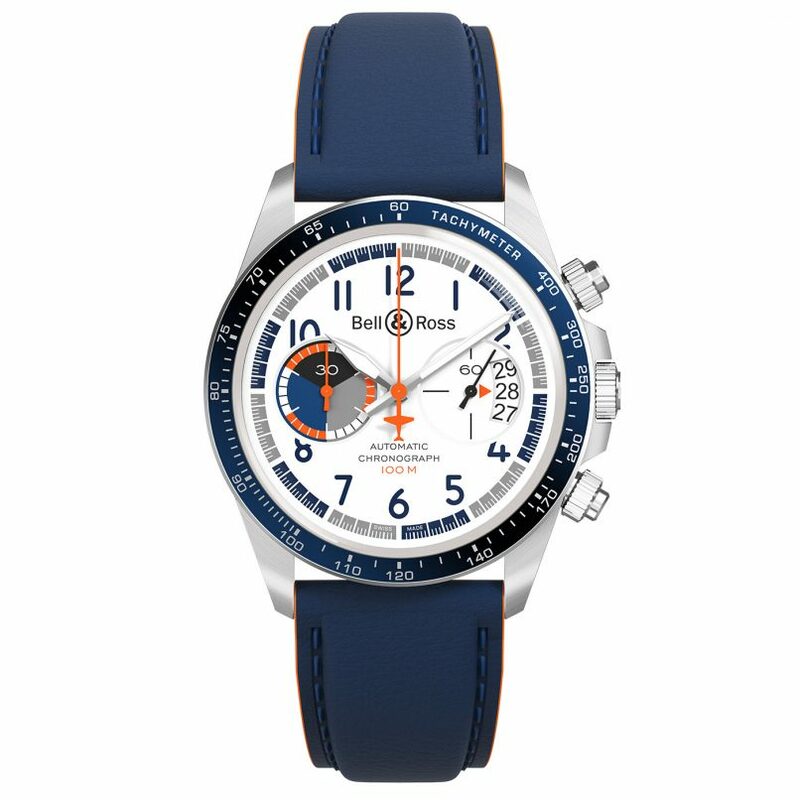 The same 41mm steel case and two-register, 30-minute chronograph layout are retained, only this time also rendered in the BR-Bird’s livery colours. The limited edition BR V2-94 Racing Bird Chronograph. Other key features also include arabic numerals on the white dial that are contrasted for maximum legibility (a pilot’s watch must), and the substitution of the date window at 4:30 with a “three day” date display embedded in the base of the running seconds subdial. For extra visual interest and as a gentle reminder that this is a 999-limited edition watch, a BR-Bird silhouette is replicated on the counter balance of the vivid orange chronograph seconds hand. Featuring the same unique colourway as the BR-Bird, the new chronograph watch is a fresh take on the BRV2-94. Inside, the BR V2-94 Racing Bird is powered by the BR-CAL.301, and comes with an interchangeable blue leather strap and steel bracelet.